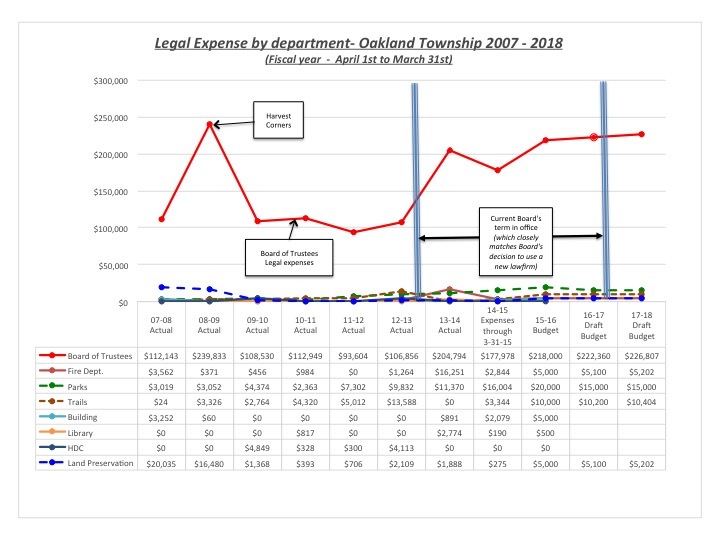 At the July 8th Board meeting, it was disclosed that the Township attorney has been purchasing lunches for Supervisor Gonser. The original bills were discovered on July 7th. The lunches were in November and December of 2013. These bills were reviewed and approved by Supervisor Gonser, since we did not have a Township Manager at that time. Dan Kelly, our Township attorney, repaid the Township for one of the lunches on July 7th. He did not agree to repay the Township for the other lunches since they were part of the Township’s monthly “retainer fee”. During questioning at the July 8th meeting, neither the Township Attorney nor Terry Gonser found anything ‘inappropriate” about the Attorney purchasing Gonser’s lunches. The other Board members did not express an opinion on the matter. During the public comment portion of the Board meeting, the author of this post brought up the issue discovered on July 7th. The Attorney indicate that he paid back only the $23.08 bill, since it had been charged inappropriately to the Township. The other two lunch bills were not specifically charged to the Township, but were included as a noted item as part of a monthly retainer fee the Township pays the attorney. Treasurer Langlois confirmed that two of the lunch bills were an ‘internal amount’ that the attorney was tracking against the monthly retainer fee ($1,500 per month). He went on to say that he spent hours with the Supervisor discussing legal issues in the Township. Why is this important to the citizens of Oakland Township? Clearly one of the bills was inappropriately charged to the Township, and was repaid by the Attorney. The other two bills may just be the ‘tip of the iceberg’ in terms of expenses that are being ‘buried’ within the monthly retainer fee. Costs for lunches (and possibly other inappropriate charges) become the ‘baseline’ for the Legal firm to establish new monthly retainer fees in the future. If questionable expenses are included now, future retainer fees may rise without any transparent justification. When Gonser was a manager at GM, GM had a policy where suppliers were not allowed to purchase lunches for employees. When Gonser retired, he obviously felt that that policy was inappropriate for the Township Supervisor. The entire Township Board should go on record for approving, or not approving, the cost for this type of ‘fringe benefit’. This entry was posted in A new kind of "Transparency", Ethics, Supervisor Gonser and tagged Abuse of Power, Dan Kelly, Gonser, Misuse of funds, Oakland Township Ethics, Supervisor Gonser, Supervisor Terry Gonser, Terry Gonser on August 14, 2014 by richardjmichalski. Spend Our Trails Millage to Bailout a Subdivision? At the 10/1/13 Planning Commission meeting Mr. Ron Hein, a Planning Commissioner newly appointed by Supervisor Gonser and the Board, volunteered to serve on the Township Safety Paths and Trails Committee saying “I have a little bit of a vested interest in this.” Ron went on to say that his subdivision (the Hills of Oakland at Adams and Dutton) has safety paths that need repair and that rather than build new trails and connections the Township should maintain what we already have (watch the video below). This is not a new idea. Treasurer Jeanne Langlois proposed the same thing at a Safety Paths and Trails Committee meeting this summer. She was told then that this would not be an appropriate use of taxpayer’s money. Hein and Langlois, together, will be half of the body which has the responsibility of suggesting to the Board how our trails and safety paths millage money is spent. The safety paths that Ron and Jeanne want to spend our money on are privately owned and their maintenance is the responsibility of the homeowners and their associations. If they have been allowed to fall into disrepair, as Mr. Hein says, he and his neighbors need to pay for the repairs. Is this why he says he has a “vested interest”? The millage language that we, the voters, approved says precisely how our money must be spent. Our money is to be spent to construct and maintain a network of trails that connect parks, schools and neighborhoods. It says nothing about bailing out subdivision residents. Mr. Hein’s subdivision safety paths do not form a network nor connect to parks, or schools. We have millions of our tax dollars at stake. Gonser and the Board know that unless we, the residents, make it plain that this misuse of our money is unacceptable they can do it and get away with it. No one else is watching to be sure that the Board spends our trails money appropriately. Make your voice heard! This entry was posted in Ethics, Trails and Safety Paths and tagged Misuse of funds, Safety Paths, Trails on October 7, 2013 by foulkrj.